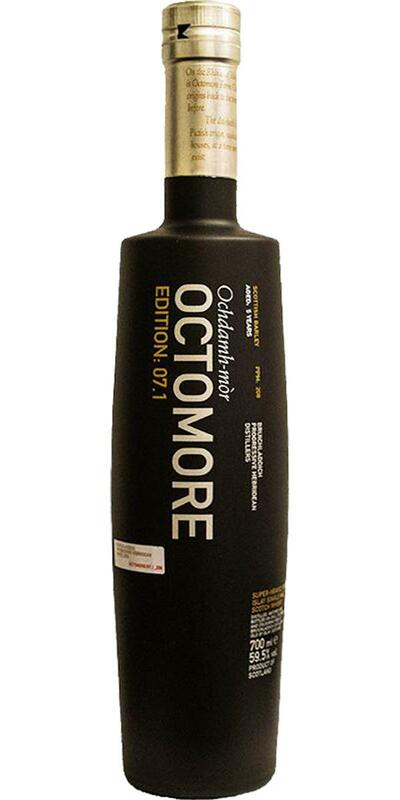 Branded as the world's most heavily peated whisky, Octomore is not for the faint of heart. Edition 07.1 combines 208 ppm, 59.5% ABV and 5 years of cask maturation in American oak. Mineral, fresh and less peated than expected, the nose unfolds with lemons, anise and fatty bacon. With a fiery blast of peat, the taste explodes on your palate: pepper, ash and spices conceal hints of sweetness, lime and mint. Intense, briny and slightly bitter, the finish hangs around for hours. The rawness and pure energy of this spirit is outstanding, but so is the price tag. Well, the next Octomo, the next ppm records, though, IMHO, after 80-100 ppm the difference is already insignificant; Well, okay - the party said - It is necessary! The Komsomol answered - Yes !, you need to support sales. And in general, again, the sweet and soft smoke-peat monster of the barrel fortress - amateurs will appreciate, non-lovers will save money. Warm, open, smoked, rubber, dry peat, coals fire, very dry. Powerful, saturated, coal, pepper-ginger wave, sweetness is simply indecent, smoked, smoke, burnt sugar. Sweet pepper, orange peel, charcoal, burnt paper, smoked fish, smoked squid, soft enough and delicate. The smoke in the nose is very present, but not as strong as expected by the ppm indication. 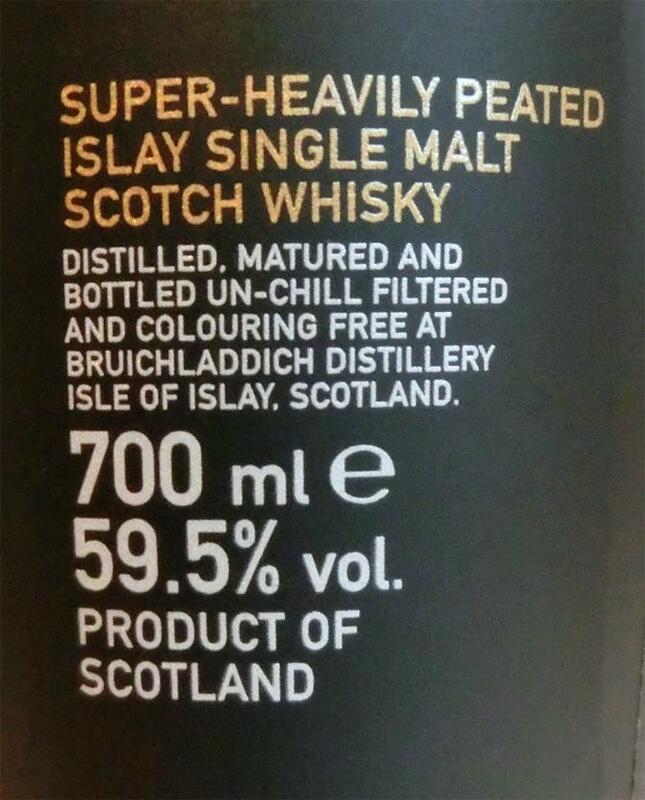 At least it is not enough to hide the rotten fruit notes that are so typical of young Bruichladdich. In the mouth, the whisky is more harmonious, the fruit notes recede, the finish is soft, pleasant and long. The whisky is delicious, but nothing more. Except for the 4.2. 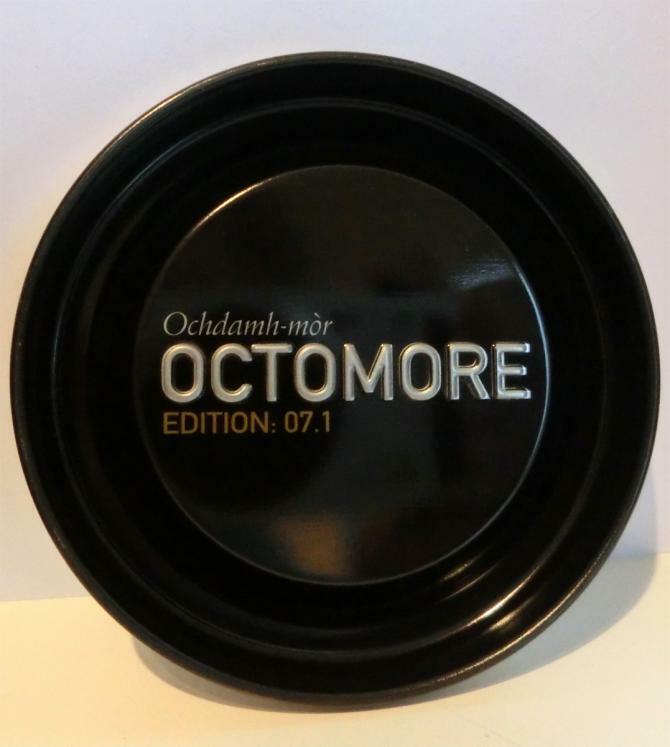 The Octomore remain overrated whiskys for me. 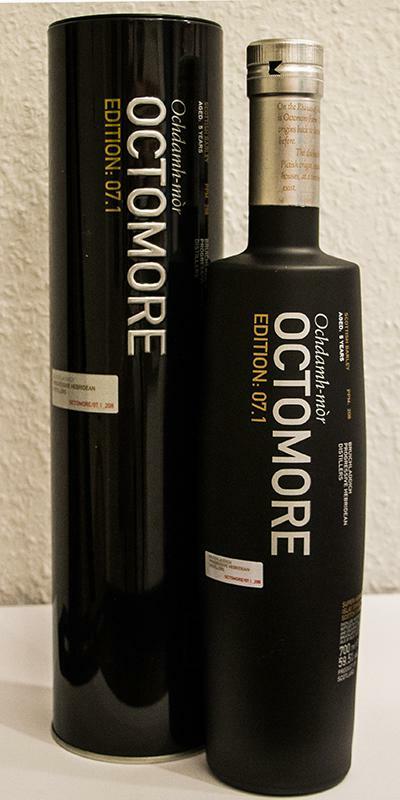 Some say the Octomore range has become predictive and boring, but it works for me. Not overwhealming if you know what to expect, but it delivers on both peat and abv. Thick sooty peat. Takes some time to get beneath it. I usually don't get much from adding water, but have to admit that this one opens up with a drop or two. On approach there's sweet caramel and gingerbread, dive in and there's a little vanilla and citrus. Half way down the glass I start getting more fruity notes like unripe pear and the pure smoke separate from the peat. Yea, peat, thick and oily, rubber like. Pepper starting to evolve midway. Caugh syrup with a little iodine, slightly salty and sour. Long and bold. Salty. Peat is not as prominent as before. Pepper fade as slow as it evolved ending on a sweet note. I’m pretty sure I’ve tried these next three before. Islay is where I fell in love with Octomore. N: Light sweaty & salty vegetal creme. T: Vegetal popcorn, the barley stretching out. F: Full on power with full control, oysters and kelp emerging at the end. 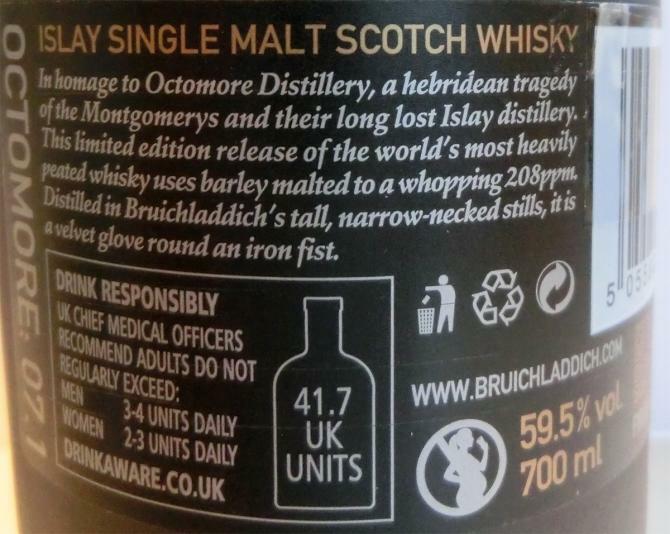 C: This is a 'buy now’, though for the price I’m also looking at a 29yo single cask Mannochmore. I had this down at 87 before.